I have been drafting this in my head for nearly three years, as long as we’ve existed. Drafting and re-drafting to make it grand, like the final flourish of an actor on stage who knows that he will be remembered by that one final act of his, as he is lost in the fading spotlight, while the curtains come down on his part. But as I sit here actually typing it out, I would happily trade all of that grandeur and elegance for clarity, as I struggle to pick out that one single strand of thought, from the multitudes that coarse through my mind, like a dam broken, battered and worn by the essence of time. We were destined to fail. Of that I have no doubt. I’m simply incredulous about the fact that we defied a certain fate for as long as we did. And even within that incredulity is a sense of pride at what we, and I, have achieved. And a deep sense of gratitude for all those who helped carry us until they could no more. There is a reason why all the things must end. And in essence, they can be broken down into one of two; a) a body that has no strength and a will which can no longer push the broken body; b) its existence was an abnormality, a mistake that should never have come about. It is, I believe, true for all things – people and ideas, for those are all that matter to me. 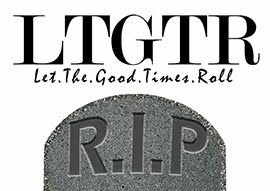 When LTGTR was first conceived, its end was already marked down in the annals of its history, that shall soon be wiped out as footprints are, in a tidal wave. What remained then, was simply to determine the brevity of its existence, and the cause for its failure. I started out LTGTR as hopelessly foolish idealist, who perhaps like Romeo blinded in love, refused to accept the declining prowess of the written word. I believed that like the young revolutionaries who preceded us in eras bygone, we, the offsprings of a confused marriage of technology and tradition, could do the same. I was full of big dreams and thoughts that would never come to fruition in 100 years. I was never high on hope. And so we began our quest like all young dreamers do, clueless about the path ahead and thick-skulled enough to not care. We began our quest, with only the stars to guide us. And our first obstacle was not the resistance from others, or the fury of nature, but the moral dilemmas that waylay all young travelers and test their strength, will and belief. Not all of us made it through. Those that did were stronger for the better. To those wondering about this seemingly pointless meandering, I have this to say. Patience. And that is what we did whenever it dawned on us that we had started out a quest doomed for failure like all foolhardy men do. And we pulled through. Somehow helping each other like those tiny ants do. We crossed the desert and sailed into the sea, with the wind at our backs and a handy crew. 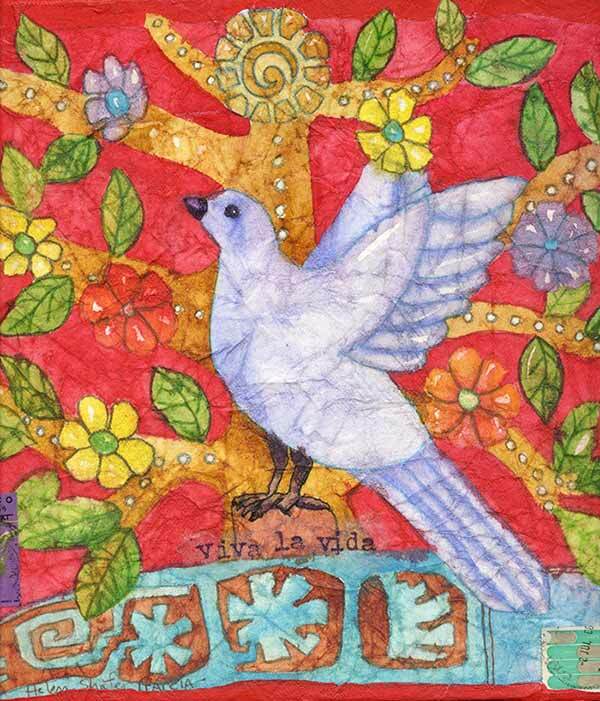 And we rejoiced in the turn of fortunes and lived recklessly. And then the wind stopped. And then we despaired. And in that despair our own albatross appeared. And we sailed for a while again, before we shot it. And again we despaired. And again it came. And again we shot it. This continued for many turns till finally we reached the promised land. We paid our price too though. We reached somewhere, and then we couldn’t move further. The will of men is not enough to build ships that travel unexplored waters. It is only enough, and not always, to reach the safety of the mainland from a few miles in the sea. Stuck there, with nowhere to go, the shoulders began to droop and heads began to fall, until finally bodies rolled off and men began to disappear. And those remaining, while certain of their fate, despaired at the thought of a lost legacy and of the taint of being called fools for the rest of their afterlives. With one final push, they built a monument as a sign of their achievement, a testament to the fact that they were not wrong. This letter is that monument. And that is the story of LTGTR. We found the right path, the right idea, but the journey’s taken its toll. And while our strength has failed us, our intentions were right. We made a small place for ourselves in this world. An acceptance from our readers. And a recognition from people, for what we tried to do. The journey of LTGTR ends here. And at the end of it, is the vindication of an idea. An idea that everybody has a right to express themselves, and that others will accept them for it. An idea that well written articles still have a place in a world of sarcastic and satirical Tweets and statuses. And that writing and literature can still inspire and ignite the souls of people, and - using them as agents - bring down the tyranny of antiquated thought that still prevails. So it is, at this august evening of March, that we bid thee farewell with the hope that we’ve touched your lives and made them better in our own small little way. Cheers and keep the good times rolling!